Morocco wants the Western Mediterranean to think as a coherent regional grouping while addressing common challenges relating to migration and youth. Speaking at a foreign ministers meeting of the 5+5 countries, held Friday in Malta, Morocco’s foreign minister Nasser Bourita urged the group to think and act as a G10 bloc in order to give more substance to its actions. He called for adopting a 5 + 5 version of the Global Compact on Migration likely to help identify action instruments that are adapted to the Mediterranean region. The 5+5 group brings together Morocco, Algeria, Tunisia, Libya and Mauritania as well as France, Spain, Portugal, Italy and Malta. The group was officially launched in Rome in 1990 as an informal sub-regional forum whose main aim was to foster relations between European and Maghreb countries. The grouping should break away with proceeding to dialogue under the format of a north shore discussing with a southern shore, Bourita said while making the case for proceeding to dialogue as a coherent regional grouping. He welcomed the idea put forward by French President Emmanuel Macron for a summit of the two shores as well as Portugal’s proposal for an Euro-Maghreban dialogue. 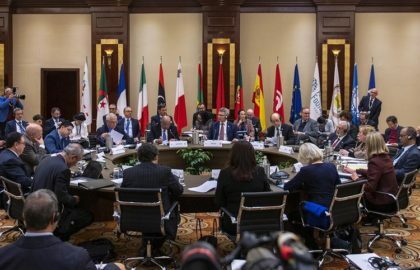 The Foreign Minister announced that Morocco intends to organize a ministerial conference on youth, dedicated to training, education and employment, insisting that the kingdom is convinced that it is time to agree on a “Mediterranean Youth Agenda” with the effective participation of all stakeholders. Bourita also expressed support for the joint 2030 World Cup bid by Morocco, Spain and Portugal, which, he said, will add impetus to the Mediterranean region.